Gabriola Players is seeking to cast several women and men for our spring production of What Glorious Times They Had, Diane Grant’s loving tribute to Canada’s suffragists. Director Miranda Holmes will be holding auditions on Tuesday, 5 January 2016, 7 to 9pm at the Rollo Centre. Rehearsals will begin the following week, with performances 11-13 March 2016. A plot summary and brief description of the roles to be cast follows. 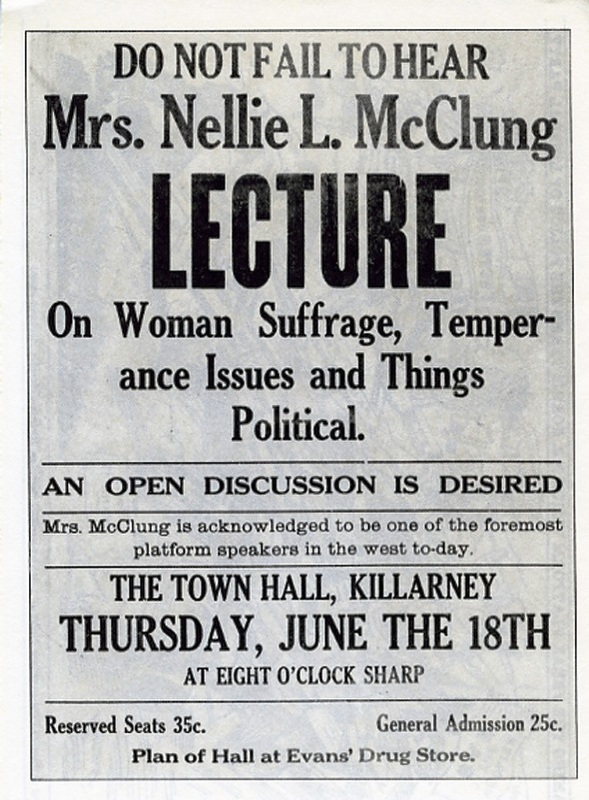 Set in Winnipeg between 1912 and 1916, What Glorious Times They Had tells the story of the successful campaign led by Nellie McClung and the Political Equality League to win the vote for women in Canada. The play combines the themes of politics, suffrage and prohibition, treating them all with liberal amounts of humour, music and vitality. Seven major roles (five of which involve singing): five female and two male. There are 12 supporting roles (one of which involves singing): eight male and five female. As in the original production, multiple roles will be played by individual actors.